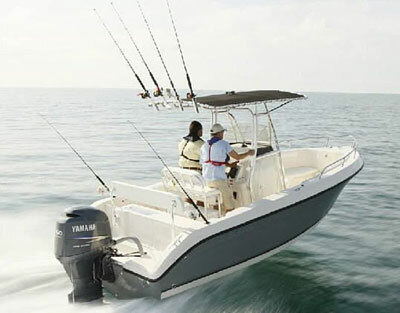 According to Cobia Boats, there’s no space wasted on the Cobia 206CC. Cobia descrbies the 206CC as an “efficient fishing machine” and with more standard features than any other mid-sized Center Console. The 206CC offers a walk-in console with and integrated cooler/seat, and a built-in swim ladder. The 206CC also features serious capabilities from its wind deflecting windshield to family-friendly seating arrangements.